Welcome aboard The Holland Princess - located in West Michigan! This 65' Victorian style paddle-wheel river boat is one of the newest vacation attractions in Holland, MI. We offer both public and private cruises. 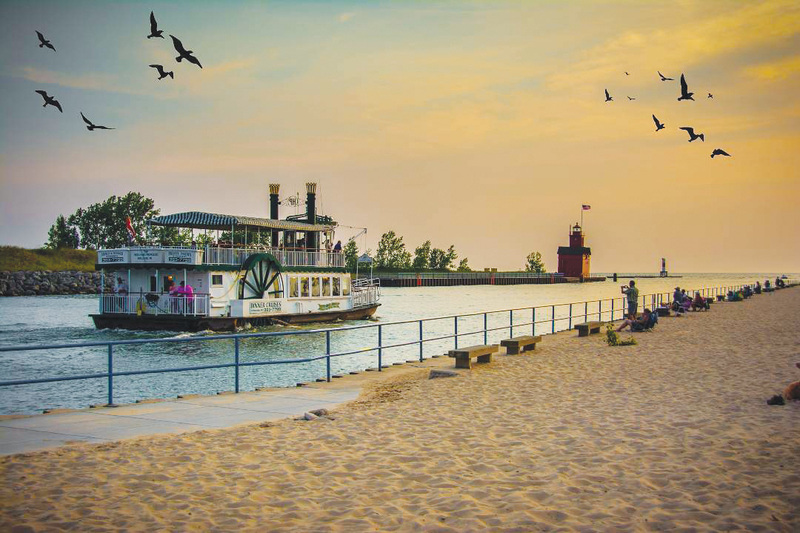 Begin your West Michigan memory with a boat excursion, as you tour through beautiful Lake Macatawa and Lake Michigan and cruise past the BIG RED lighthouse. Enjoy a scenic cruise with lunch or dinner. Pass by picturesque lake homes, historic land marks, and nature at its best. Enjoy a memorable dinner cruise, a relaxing lunch cruise, or a private party/charter aboard the Holland Princess! The Holland Princess dinner cruises offers public cruises and also private boat charters. Why not charter the Holland Princess Boat for company parties, small weddings, receptions, retirement parties, customer appreciation parties, and the like. The Holland Princess is also well equipped with a full Karaoke system, a fun boat ride for the whole family, allowing anyone to come up and sing a song. Kids can pick a treasure from the Captains treasure chest, or blow the loud whistle. Be sure to check out the photos page!